Imagine being a part of an organization that fills your heart and your mind with the joy of giving to others and the feeling that comes with making a difference. Knights are Catholic men, 18 years of age or older, who are committed to making their community a better place, while supporting their church. Being a Knight is more than camaraderie. It is being involved with your community. It is supporting your local Catholic Church while enhancing your own faith. It is about protecting and enhancing your family life. Come and see what we are all about. For more information about the Knights of Columbus, please contact Nick Calvano at 719.964.2063 or nick.calvano@hotmail.com. 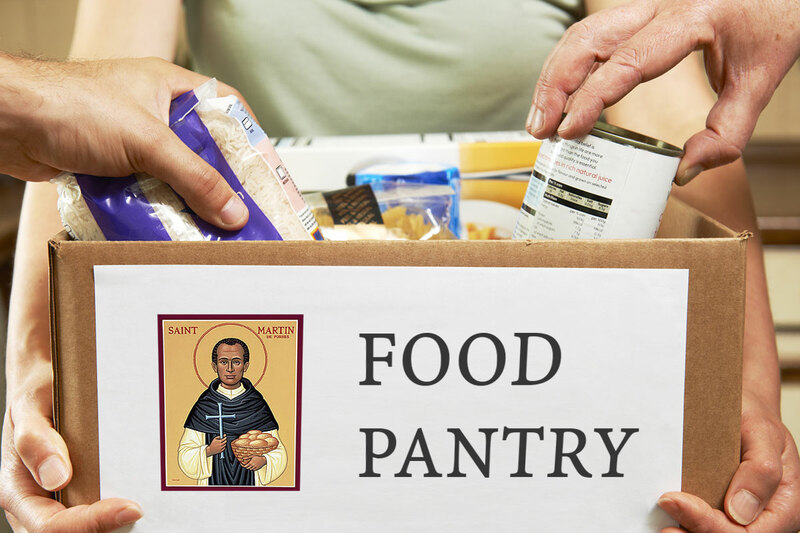 The St. Martin Food Pantry helps those who are unemployed or underemployed, that need help getting to the first of the month. Shelf stable food is available in the parish center every first and third Sunday of the month from 10:30a.m. – 12:00p.m. Donations to the center are always needed. You may donate grocery gift cards or donate items to the pantry, please click here for a list of staples the Pantry needs to keep in constant supply. Donations can be dropped off at the office during business hours: Tue.,Thurs., & Fri – 9a.m. -2 Wed., 12p.m.- 5 or in the Church after the weekend Masses. Our Lady of the Woods hosts a free meal open to everyone in the community, regardless of faith or background every first Saturday of the month at 5:30 pm in our parish center. Please contact Barry Mellen at 620.482.3206 for more information. 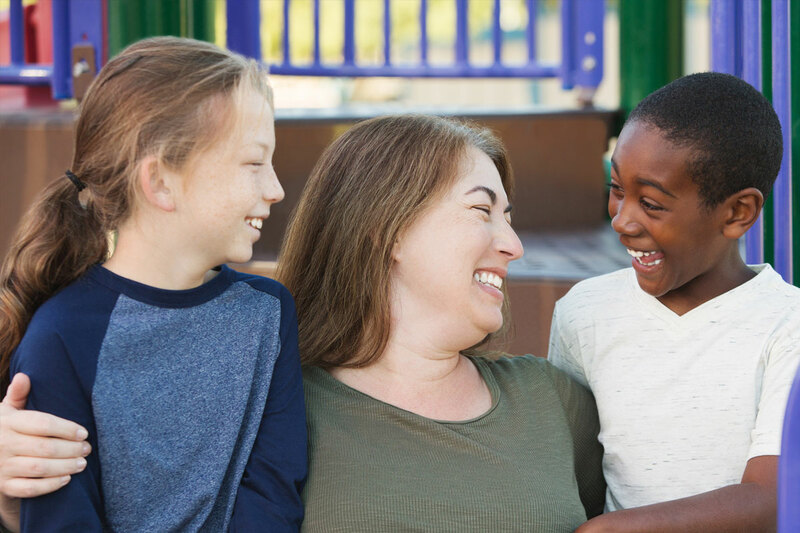 A team of volunteers from Our Lady of the Woods forms a substitute “extended family” to assist and support foster parents in Teller County in their task of caring for foster children. Any ability, talent or gift a person has can be utilized in a foster family. Volunteers step in and help with the practical needs the foster families have such as child care, occasionally providing a meal on foster parent’s busy days, driving children to appointments (counseling, visits with biological parents and trips to the dentist) and tutoring; the list goes on and on with ways that folks can make an impact on the foster family, while at the same time giving emotional and practical support to the foster parents. They befriend the foster parents, giving them a safe outlet to be themselves and a chance to feel less isolated.